From time to time, the Singularity Hub editorial team unearths a gem from the archives and wants to share it all over again. It’s usually a piece that was popular back then and we think is still relevant now. This is one of those articles. It was originally published March 6, 2016. We hope you enjoy it! A cognitive neuroscientist and his team at HRL Laboratories in Malibu, California, seem to have achieved the impossible. If you’re picturing people downloading knowledge directly into the brain Matrix-style, sorry to hand you the blue pill — it’s utter nonsense. Which is a total shame, because the brain-boosting technique used in the study — transcranial direct current stimulation, or tDCS, is nothing short of fantastical. Hook up some wires with a 9-volt battery, and you have a state-of-art “thinking cap” that activates select regions of the brain of your choosing. By directly tinkering with the brain’s electrical field — no surgery required — tDCS has the potential to treat depression, anxiety, chronic pain, OCD and motor symptoms in Parkinson’s disease. A handful of small studies — including the HRL Laboratories research — also tantalizingly suggest that it could heighten creativity, enhance spatial learning, boost math skills and language acquisition and even trigger lucid dreams — sometimes weeks after the initial stimulation. “It seems to give you any kind of benefit you want,” says Dr. Flavio Frohlich, a neurobiologist at the University of North Carolina and expert in tDCS-assisted cognition. Sound too good to be true? Perhaps. Ask its doubters, and the only thing that tDCS is good at is giving people a nasty electrical burn. It’s high-tech brain gain riding the hype cycle train. Here’re the facts and the fiction — let’s see how deep the rabbit hole goes. The short answer: no one really knows. 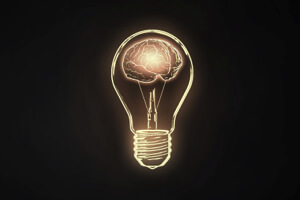 The technique’s brain-boosting effects were discovered serendipitously. At the turn of the last century, Drs. Walter Paulus and Michael Nitsche at the University of Göttingen in Germany popularized the technique while studying motor learning and working memory. They carefully placed two electrodes over motor regions of the brain, using gel to ensure full contact with the scalp. This generates a weak electrical current — about 1 or 2 milliamps, low enough to be powered by a 9-volt battery. To the team’s surprise, participants receiving the stimulation learned faster than those who received only sham stimulation — a placebo zap to trick them into thinking they were getting the treatment. Almost all later studies followed this protocol, including the aforementioned flight simulator study. So what’s happening to the brain? The tDCS current itself is too weak to activate neurons; instead, it changes the ability of neurons to respond to stimuli, such as learning a new task. There are two types of stimulation: anodal stimulation primes neurons to be more excitable and thus more likely to fire, boosting signal; cathodal stimulation makes it harder for neurons to fire, decreasing noise. In this way, tDCS can modulate the signal-to-noise ratio in a select brain region and tweak information processing. The word “tweak” here is key. tDCS doesn’t transfer meaningful information — it only improves the ability of subjects to learn. At the same time, the current jolts plasticity-related molecules into action in neurons, changing their ability to respond to neurotransmitters. But it goes even deeper than that. In another study, scientists at the Office of Naval Research found that tDCS in mice strips away certain molecular markers on their DNA. 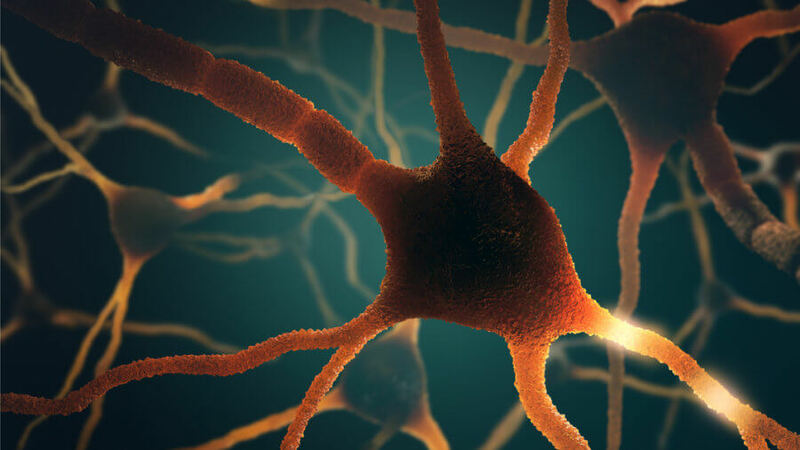 This causes neurons to pump out more BDNF (brain-derived neurotrophic factor), a major vitality-boosting protein that promotes synaptic plasticity and the birth of new neurons and nurtures the brain. These molecular changes could be why tDCS has long-lasting effects that linger for weeks, suggested the authors in their paper. That said, it’s currently impossible to precisely target neural networks with tDCS in the way that optogenetics can. The current only flows in superficial layers of the cortex, rarely reaching deeper brain regions such as the hippocampus, a central hub for learning and memory. 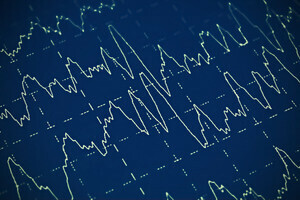 And what happens to the rest of the brain during stimulation? Your guess is as good as mine. Given the uncertainty in how tDCS works, it’s perhaps not surprising that it doesn’t always work. Several past meta-analyses cast serious doubt on the tech’s brain-boosting powers. Two such papers, both from the University of Melbourne, found that single-session tDCS had “little-to-no” reliable effect on executive function, language or memory in healthy young volunteers. There are also disheartening reports that in some cases, zapping the brain impedes cognition. Last year, Frohlich and colleagues published a report suggesting stimulation lowers IQ scores. His team measured the IQ of 40 healthy volunteers, then zapped them with either sham or real tDCS for 20 minutes over frontal areas of the brain — specifically, the prefrontal cortex involved in flexible thinking and higher reasoning. When retested, people receiving tDCS performed worse than the non-stimulated controls. Despite potential perils, optimism for the tech remains sky high. The promise is so great that tDCS was featured in the prestigious academic journal Nature this week, with scientists warning against overzealous DIY use, already commercially available to biohackers for about $150 a pop. Stimulating is easy, but doing it right is not, said Frohlich. Commercially available units aren’t regulated, and it takes at least some training to be able to correctly place the electrodes without injuring the scalp. And since we still don’t understand the long-term effects (not to mention potential side-effects) of tDCS, it’s far too early to call the technique totally safe. “People may well be damaging their brains,” said Frohlich. For now, the benefits aren’t worth the risk. As the story continues, however, that could change. Electrodes get smaller all the time, making it increasingly possible to more precisely modulate brain activity. Although at the moment it’s hard to imagine targeting only a handful of neural networks using tDCS, it’s conceivable that next-gen non-invasive brain stimulation could dramatically improve in specificity. More specific brain stimulation means more specific behavior outcomes. There are already hints of this possibility: transcranial magnetic stimulation (TMS), which uses magnetic fields to modulate brain activity, is already used in brain-to-brain communication, where scientists stimulate a receiver’s brain with EEG waves recorded from an encoder performing simple tasks. There’s a hell lot of controversy, but preliminary (published) results show that the encoder’s brain waves contain enough information to cause specific motor responses in the receiver, such as moving his hand in a certain way. Now imagine an expert’s brain waves “teaching” a novice on complicated tasks. Here, tDCS will prime the novice’s brain to better encode and retrieve new information. This is, in fact, what the press release mentioned earlier hinted at: that expert pilots’ brain waves helped newbies master a flight simulator. That’s not the case — the tDCS used in that study was run-of-the-mill steady currents, not fancy EEG recordings. But in a few decades? We probably still won’t be able to “download knowledge” or “program learning” directly into our brain. We’ll just be learning really, really fast.